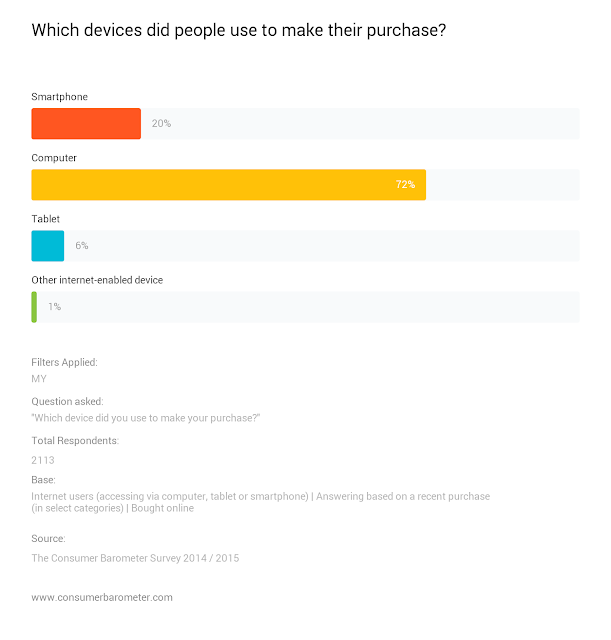 How people consume devices, their behavior on performing research and shopping? For your convenience, we summarize key findings on latest e-commerce related trends for consumers in Malaysia. In general, 74% of Malaysians are using computer to conduct product research, compared to 45% smartphone and 16% tablet. There are specific categories like flights in which research on computer is more dominant (check here), This makes sense as researching on flight tickets is a heavier activity compared to others. 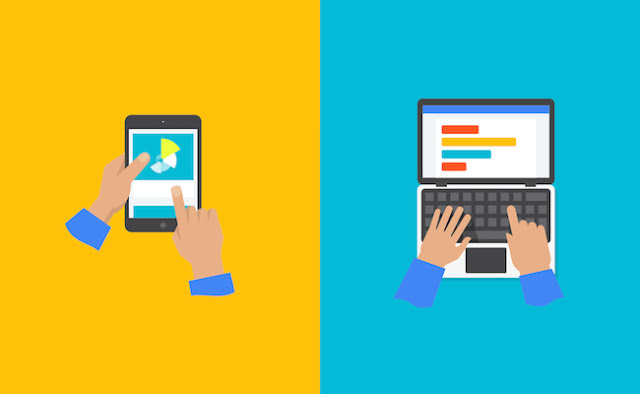 In any case, researching on mobile is still a significant portion for any category so again, mobile or responsive website is a must. If we refer to the previous graph, you should be expecting around 45% of your website traffic coming from smartphone (and this is still growing), but it is safe to expect around 20% of your online orders are made via smartphone. 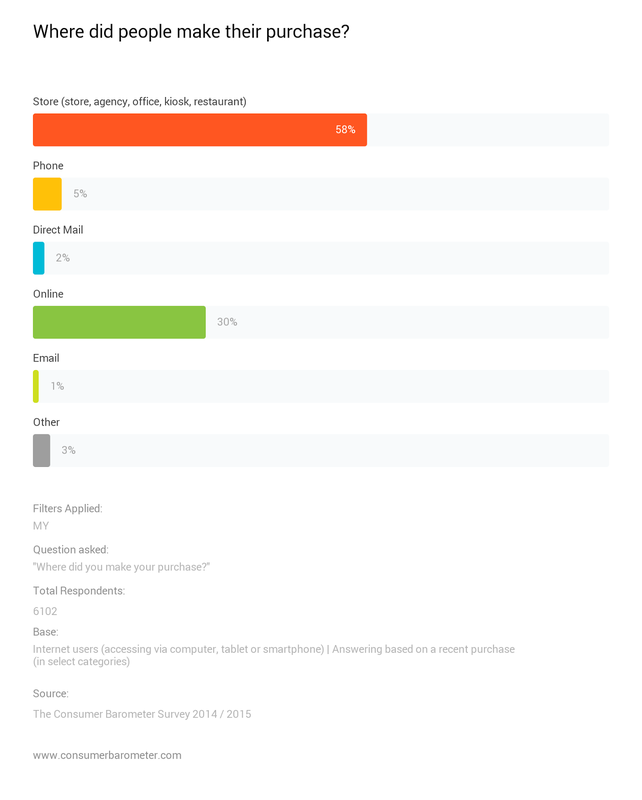 Of course, the consumer behavior varies by product / service category. 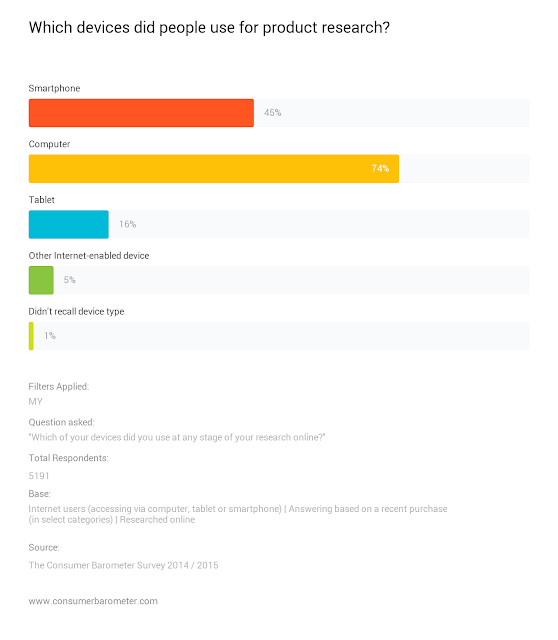 If we refer to the category breakdown, we would have expected more than 20% online purchases are made via smartphone for categories like music and cinema tickets. 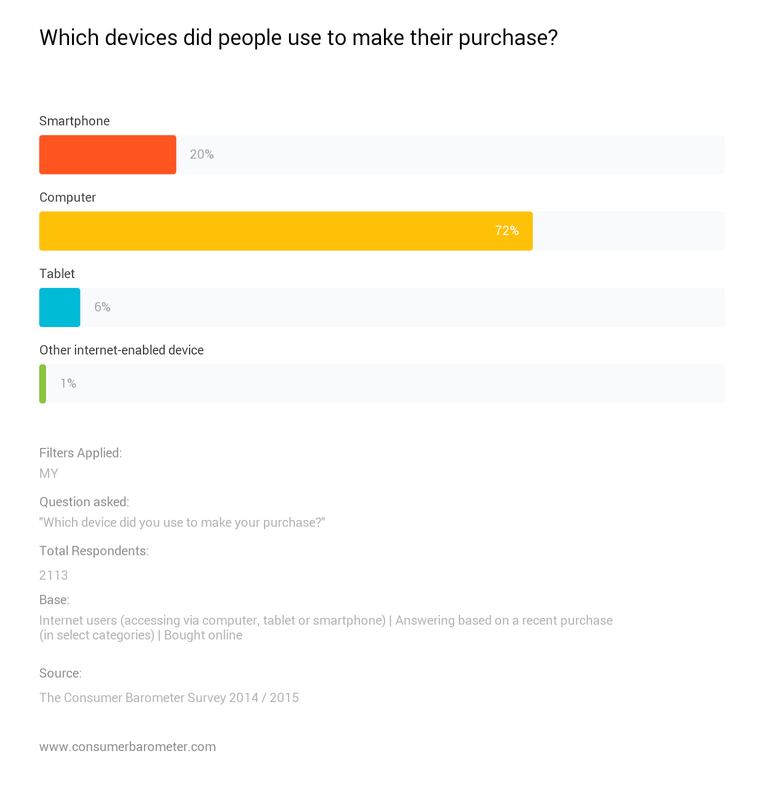 Physical products like laptop / tablet, make-up, mobile phones also enjoys more than 20% orders via smart phone, interestingly 21% online purchases of mobile phones are made via tablet. The graph below provides us a good benchmark on e-commerce penetration, even though the sampling base is only limited to Internet users on their recent purchase. 58% of Internet users are still making their purchase offline via physical stores, by comparison only 30% recent purchases are online. If we refer to this category breakdown, consumers prefer to buy online for service-based items like flights, hotels, travel and music. Clothing & footwear is the best performer among physical products with 42% purchases are made online, while groceries is the lowest with 6% bought online. 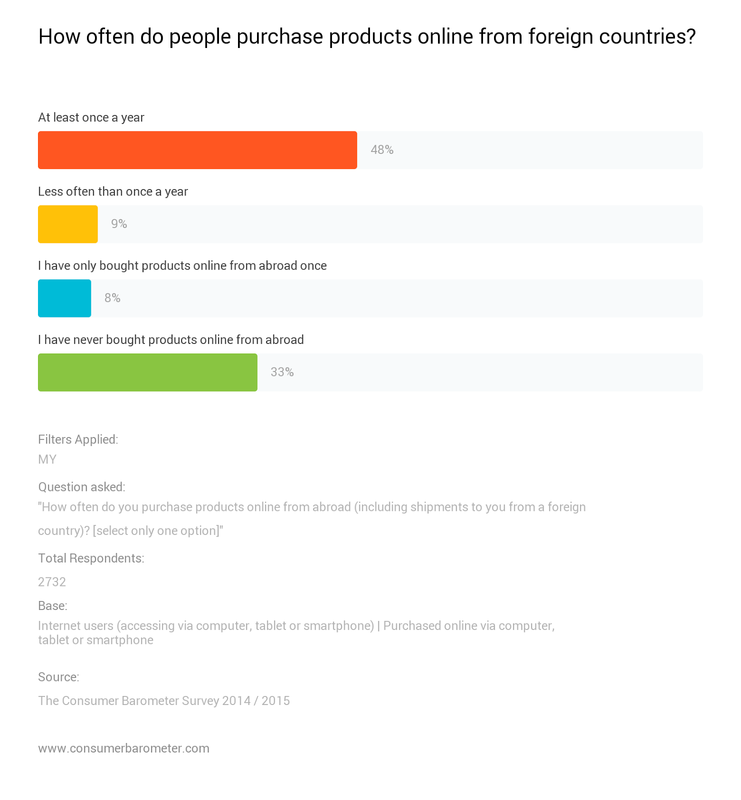 Almost half of the Internet users in Malaysia have bought online from overseas, at least once a year. 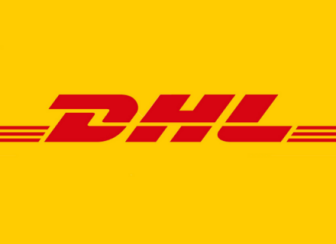 So what kind of products Malaysians buy online from foreign country? Clothing & accessories or footwear is the #1 item consumers purchase online from overseas, followed by cosmetics, beauty or health products at #2, and books, CDs, DVDs or video games at #3. 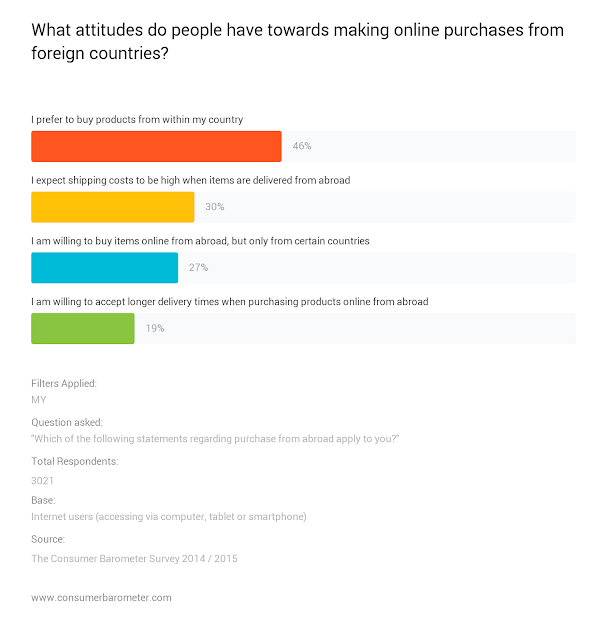 Why consumers opt for shopping online from overseas? Better availability is the top reason, followed by appealing offer, and better conditions (services, terms of payment or price). This is something worth pondering for local merchants to stay competitive. For now, local merchants can still breathe a sigh of relief as almost half of Malaysians online consumers prefer to buy online within the country, with higher cross-border shipping cost an obvious concern.